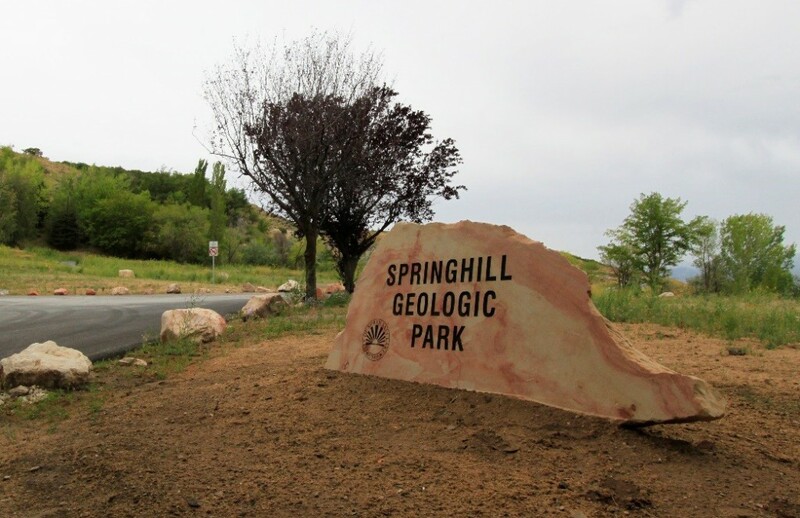 The Springhill landslide site has been turned into the new Springhill Geologic Park by the City of North Salt Lake. In 2012, the city was awarded a matching-fund Federal Emergency Management Agency (FEMA) Pre-Disaster Mitigation Grant to buy and demolish homes and turn the landslide site into an open-space park. The Utah Geological Survey provided landslide activity data for the grant application including the collection of location data from 32 monitoring points on a monthly basis from May 5, 2011 until August 1, 2011, and mapping of geomorphic landslide features indicating ground deformation. The new park was created after 12 homes were demolished and grading had leveled the lots, roadways were removed, and a drainage system was constructed to collect surface and spring water for transport to existing storm drains. The Utah Geological Survey will continue monitoring landslide activity, but less frequently (based on landslide conditions) than in the past. Read more about the Springhill landside HERE. Insurance companies have given no help to some North Salt Lake residents whose homes are being destroyed by a slow-moving landslide. Nor has the federal government. But their neighbors did on Saturday — rallying with a community breakfast and fun run to raise money to help. “I’m glad somebody — somebody — is helping. We need it,” said Stefanie Christiansen, whose home is being torn apart slowly. She, like many of her neighbors on Springhill Circle and Springhill Drive, were among the volunteer cooks and servers Saturday during the breakfast at Foxboro Regional Park. She said she and her husband bought their house on Springhill Drive in the foothills 15 years ago. “Then in 1998, we had some movement from the landslide. Then it was fine for a lot of years,” she said. But more recently, it started moving again — about an inch a year — cracking foundations and walls, and tearing apart homes. 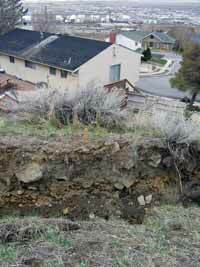 Demolition crews today are preparing to knock down a house damaged by a slow-moving landslide in the Springhill area. City manager Barry Edwards said a recent report from the Utah Geological Survey indicated there had been “significant movement of the ground” in the past 30 days, creating additional damage to homes in the North Salt Lake neighborhood. Front pillars recently have fallen from the bank-owned home near 150 South and 400 East. In addition, the floor has buckled, and windows have broken. “It’s getting in a position where the house itself poses somewhat of a safety hazard,” he said. The bank obtained a demolition permit from the city, and crews were waiting for the gas to be shut off to the home before beginning demolition work. Edwards said there are other houses in the area that are in similar condition and also should be torn down. However, owners of those homes haven’t yet said that’s what they want to do. According to the Utah Geological Survey’s website, the state agency has been monitoring conditions in the Springhill neighborhood since 1998. Residents first began noticing cracks related to minor movement in their homes about a year earlier. 4. local shallow slides on steep slopes in pre-existing landslides.